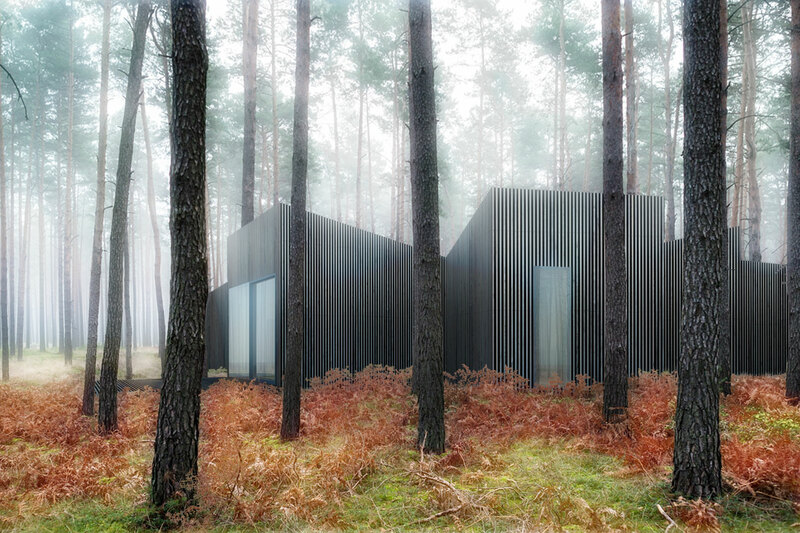 Our design for a small holiday home in northeastern Germany is taking varied occupation scenarios into account. 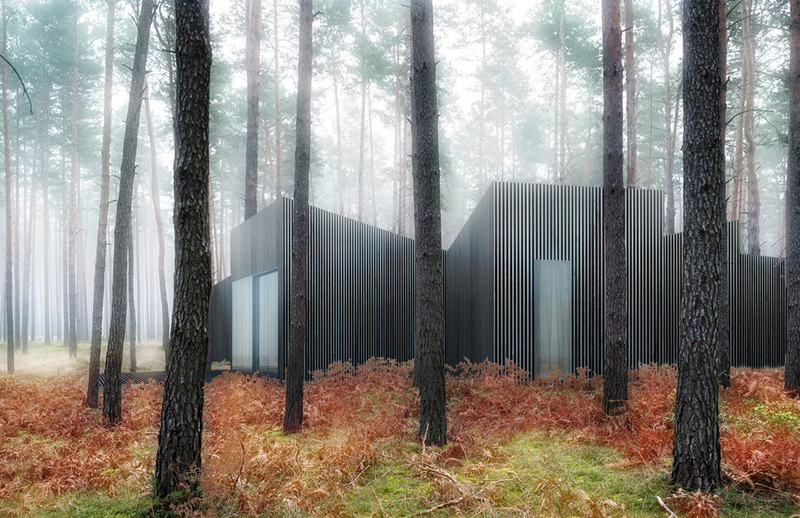 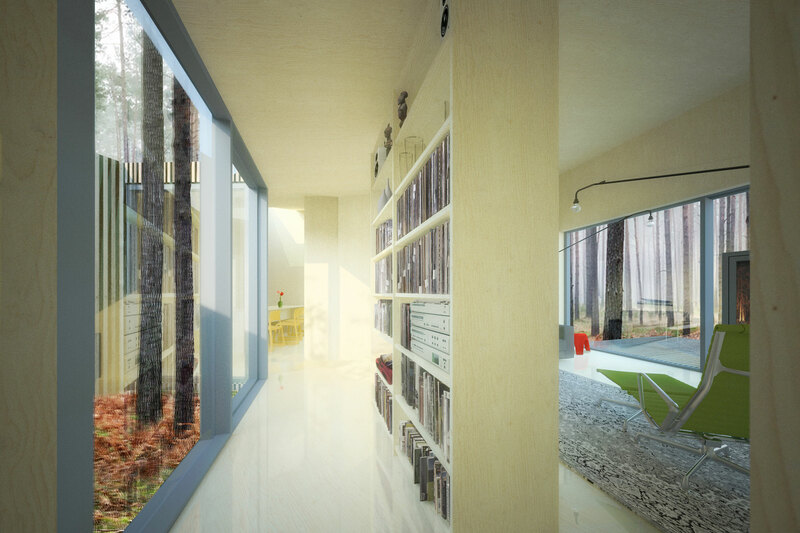 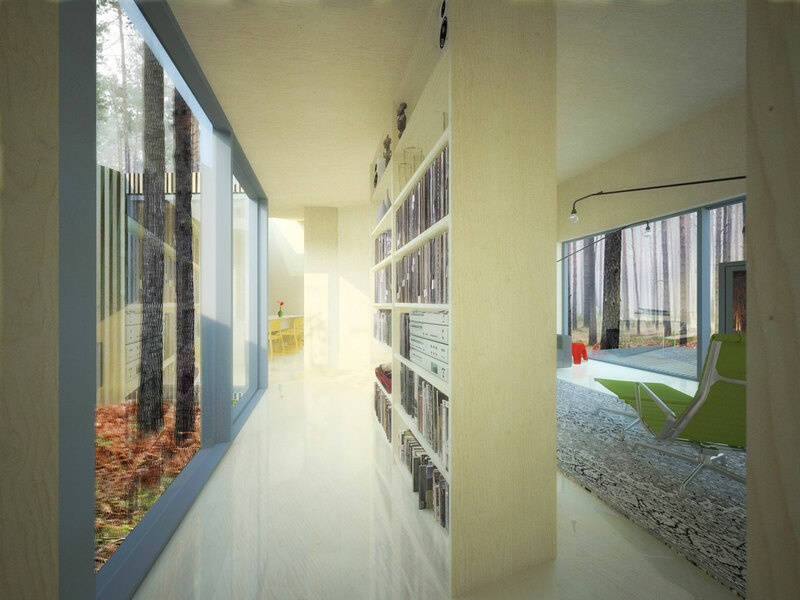 The building’s site is located in a coastal pine forest, a typical landscape for the beautiful area at the Baltic Sea. 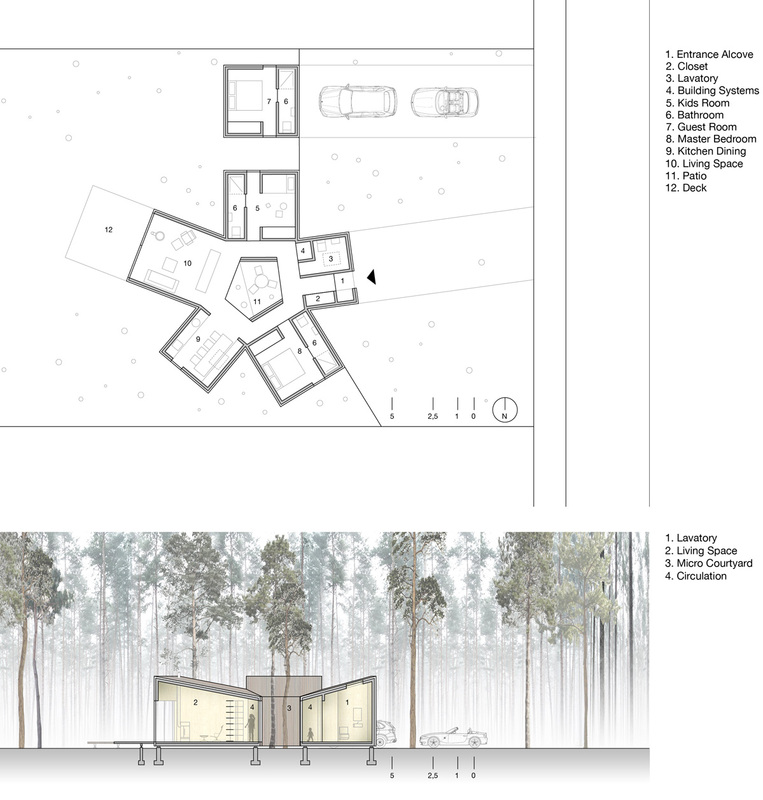 The relatively dense tree population on the site called for an irregular and flexible footprint that minimizes the impact on the existing landscape. 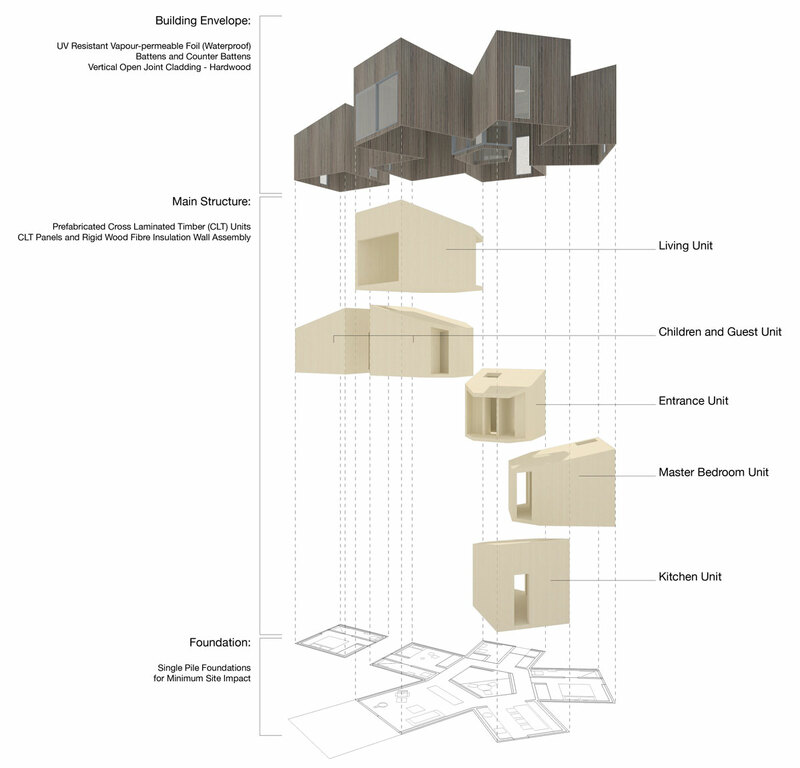 The building is projected as a group of prefabricated cross-laminated timber (CLT) units that are grouped together around a small patio. 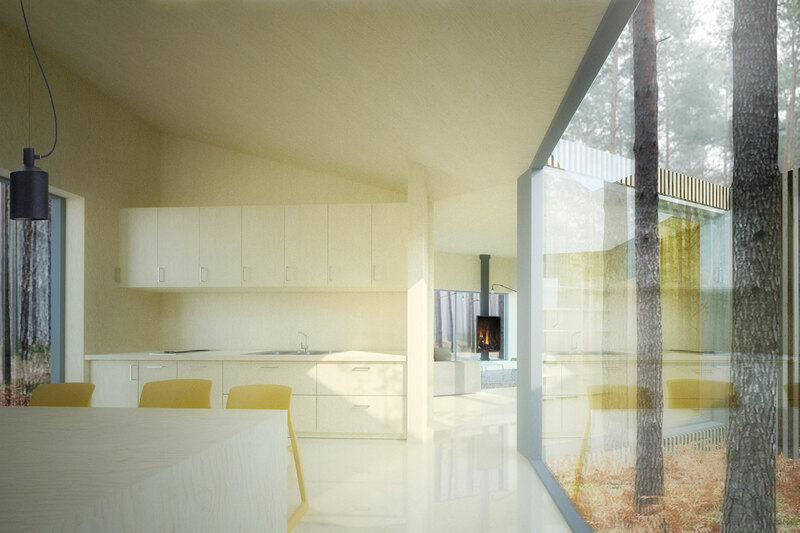 The sustainable construction method results in a highly efficient and relatively low-cost structure. 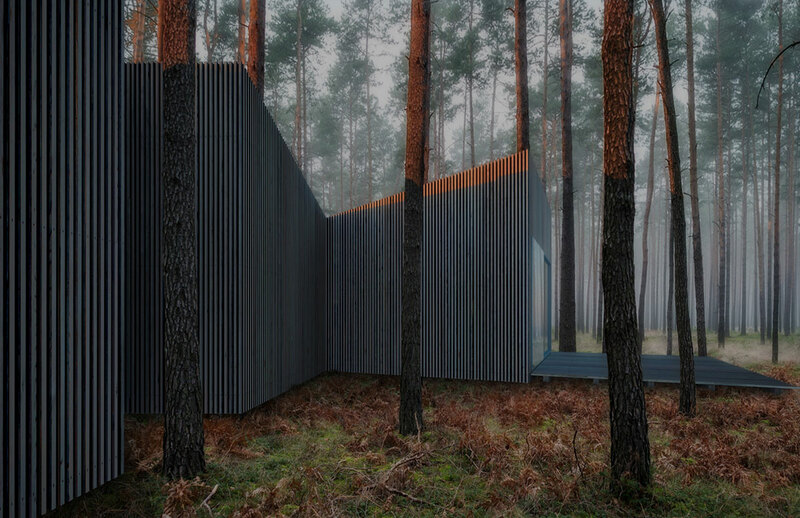 Point foundations allow for minimum site interference. 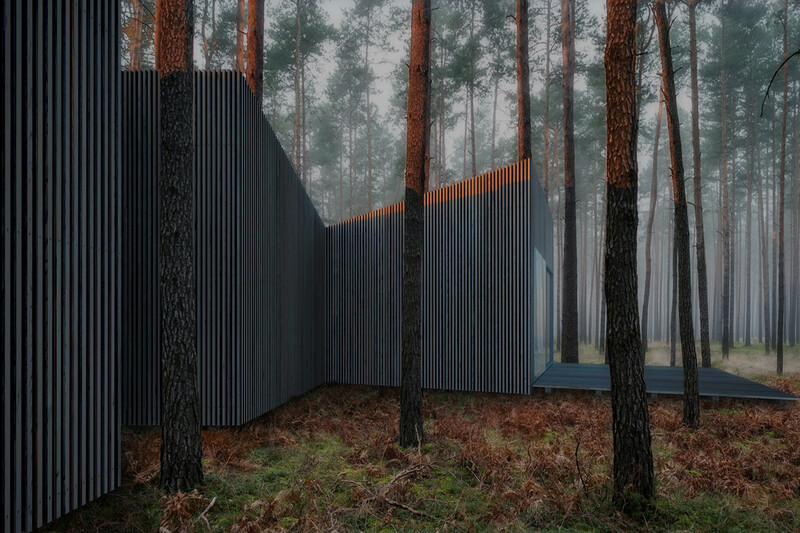 Every single unit-like room functions independently, including a separate bathroom to ensure maximum privacy for the accommodation of various visitors groups and usage patterns. 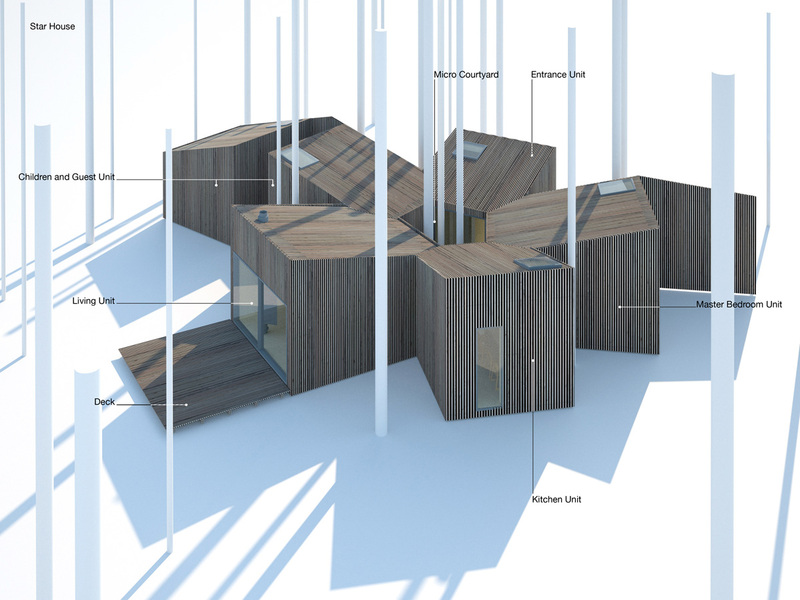 While site and client specific, the design is intended as a general system that can be arranged in multiple ways and projected in other locations. 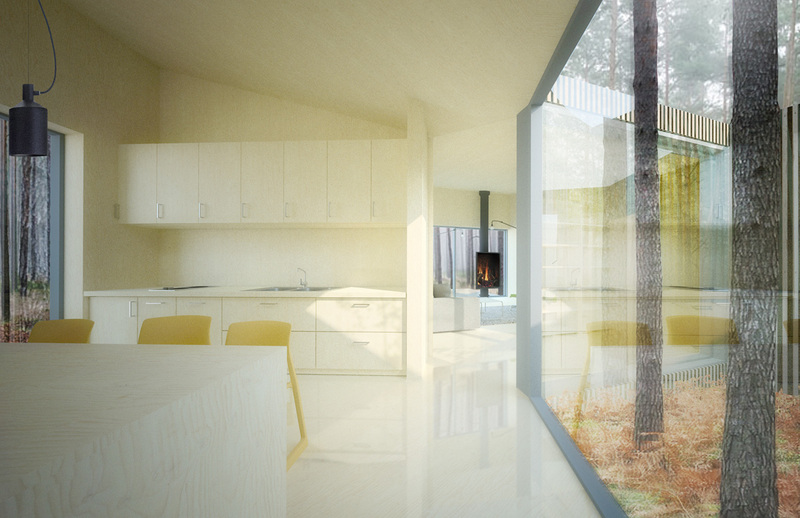 Although small and compartmentalized, the house provides a rich spatial experience and opportunities for engaging with the natural setting in which it is situated.